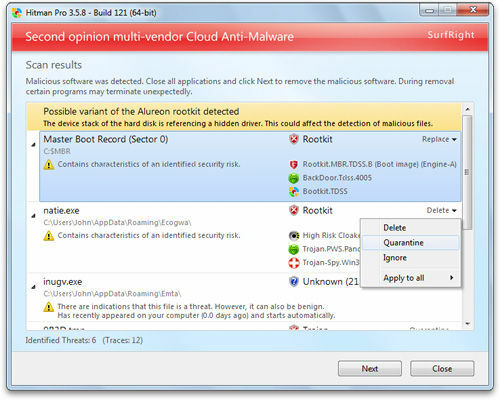 Hitman Pro is a freeware tool that combines a number of powerful anti-spyware programs in one integrated solution. 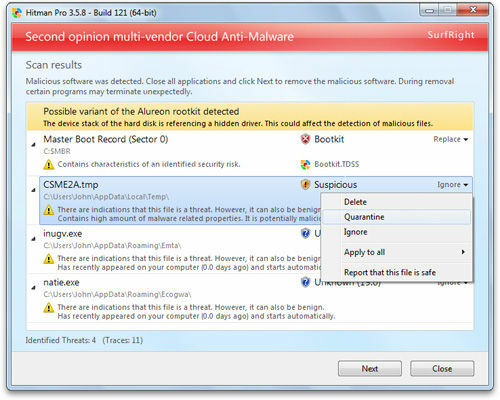 In nearly all anti-spyware reviews, the conclusion is that none of the anti-spyware programs removes all spyware. A combination of two programs is recommended. This is exactly what Hitman Pro does: it combines Ad-Aware SE, SpyBot Search & Destroy, Spy Sweeper, Spyware Doctor, CWShredder, Spyware Blaster, NOD32, Sysclean package. Most of the included programs are freeware. 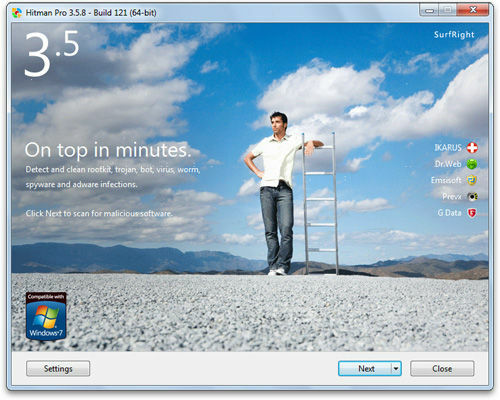 Some of these programs are limited trial editions of commercial programs, and the user can decide to switch these off after the trial period. Beware! Fake AV! it has a malware code! http://www.antimalwarelinks.com – Hitman Pro is an absolute necessity for any computer repair technician. It’s blazingly fast! (10 minute scan time vs 5 hour scan times). It catches just about everything! I’m astounded that the creators of this product pump as much value into it as they do.